Nice fitting. Lightweight. Very soft and warm. Proven to be great on a cool windy morning. Fabulous. My second purchase of this product. My jacket was stolen at a restaurant. I ordered another as it is very, very warm & comfortable when driving. I would by another if there were additional colors offered! Love the loo, color & material. Great when driving-isn't confining! I ordered one size larger then what I normally would have because I was not sure of sizing. At first I thought it was too big, when I tried it on, but I feel it works well especially when wearing a thick sweater or sweatshirt underneath. 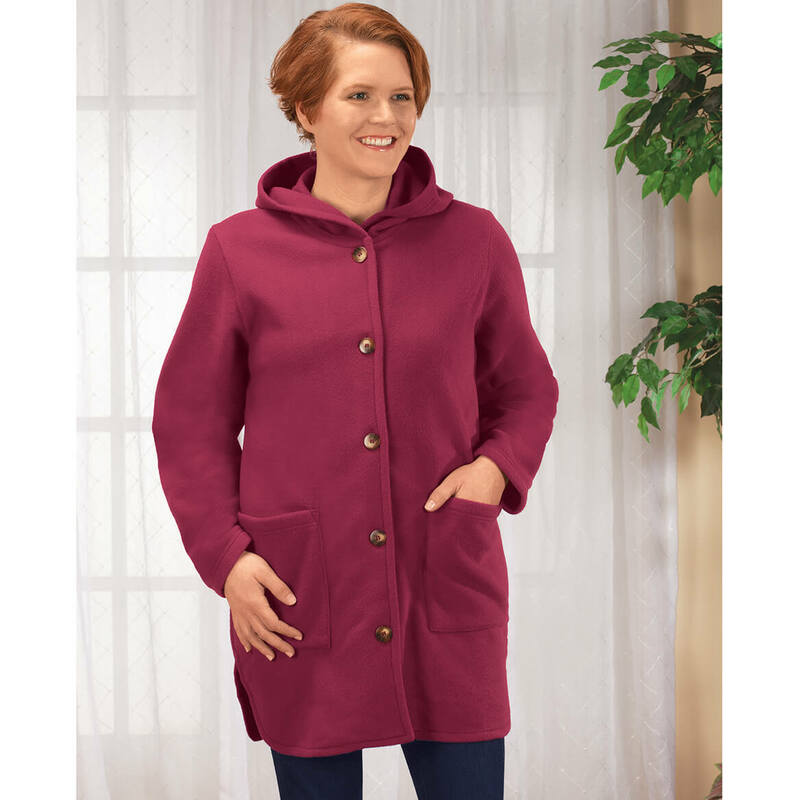 I have previously purchased a fleece jacket from Miles Kimball and I am very pleased with the color, fabric and fit. 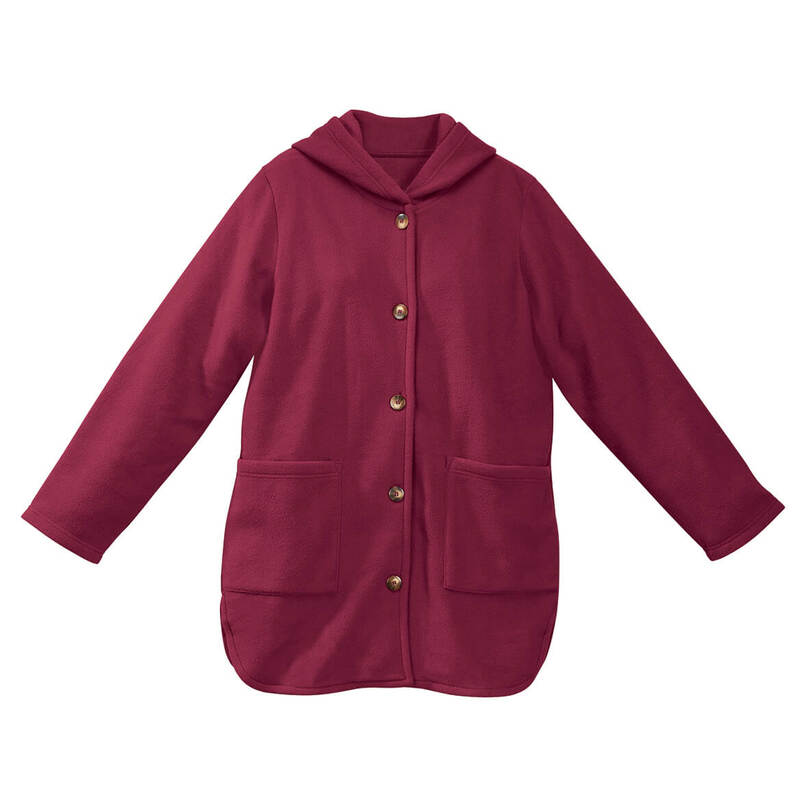 I like the style and color of this burgundy jecket, the patch pockets and hood. I've been looking for a polar fleece jacket with a hood at a reasonable price. This fit all those categories. It's also an attractive design. 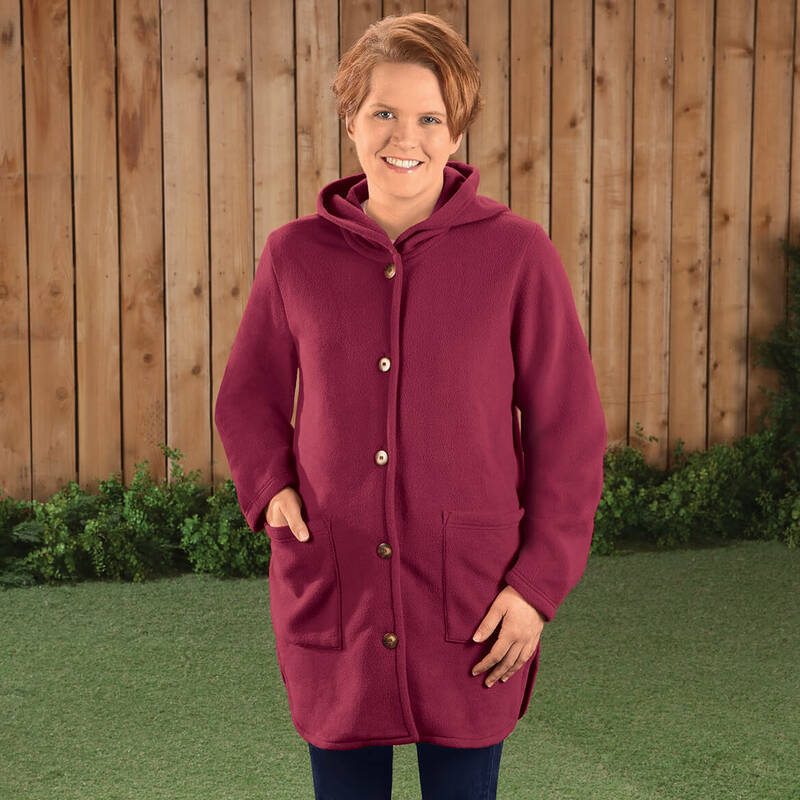 And, since it's polar fleece, it should not be bulky. It looks warm and comfortable, plus I prefer jackets with large front pockets and a hood. Plus it's in one of my favorite color. Looking forward to receiving it. Looks warm and comfortable. We will see. What is the length of this jacket? What are the numbers for 1x, 2x, 3x? Like 20, 22, 24 etc. BEST ANSWER: Thank you for your question. 1X 29-30" 2X 30-31" 3X 31-31.5". We hope this information will be of help to you. What is the sizing according to 2x, does it fit size 22w-24w sizes? BEST ANSWER: Thank you for your question. The but the 2X would be 18 -20. We hope this information will be of help to you.